I am neither talking about a French Coiffure or a French pastry. I am refering to the French way of making whisky. And that, of course, implies French oak but who would have guest that would also be based on buckwheat? SO the name of the distillery is Distillerie des Menhirs. It is in Bretagne in the same area where you can find those big stones that inspired so many romantic novels and now the name of the distilery. 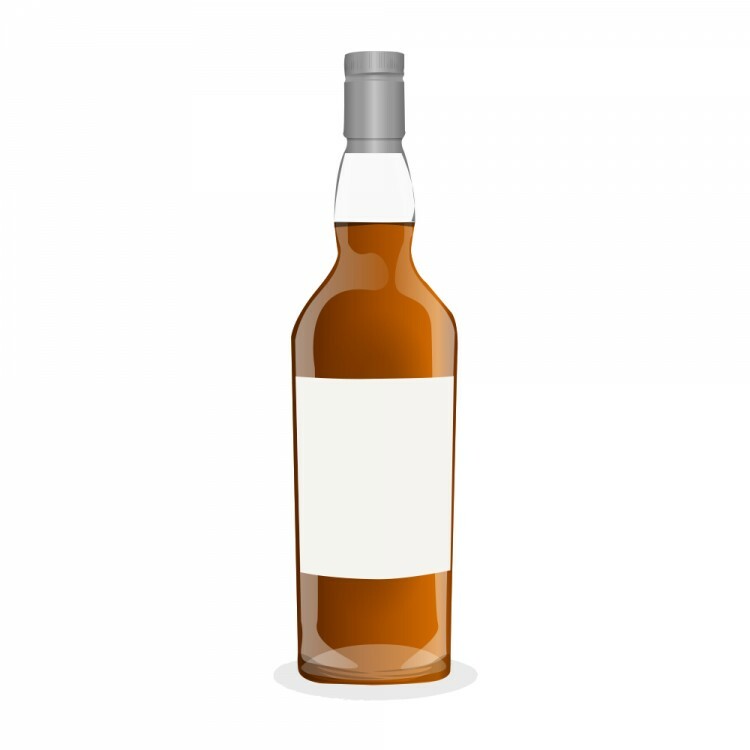 In 2002, they put on the market there first buckwheat whisky called: Eddu Silver. The word Eddu means black wheat in celtic Breton. Buckwheat is not part of the gramineae family like wheat or barley but is part of the polygonacea family. Producing buckwheat is easy but not very rewarding. It is easy because it doesn't need any fertilizer and it grows on poor soil but it is not rewarding because when you can get 80 quintals of barley per hectare, you will only get between 12 and 15 of buckwheat. That is why the price of buckwheat is about 4 times the price of barley. Now knowing that and the fact that you need more buckwheat than barley to produce a bottle of whisky, why would you picked this black wheat... Because of its flavors! And because it is a typical local product. So Eddu Silver Broceliande is a whisky distilled in 2 small still of 25 hectoliters heated with a bare flame and aged in XO cognac barrell (French oak from the Limousin) for 7 years than finished in French oak barrel (with a halfmedium toasting) from the Broceliande forest where you will find those Menhirs. What they say: delicate woody notes of vanilla oak (from the Brocéliande forest ), floral scents of wild carnations and hyacinths, dried fruits (toasted almonds, walnuts) and spicy notes of cinnamon and curry. What I nose: That is an evolving nose but all in finesse. The delicate woody notes are there with a light mushroom flavor like you get from oak barrel from the Vosges. The vanilla is there as well. I have wild flowers and blueberry honey. I have cinnamon, the sweet and soft one, and a very French orange peel. With time I have some sandalwood, a faint mint, some lemon and a whiff of juniper. All of that with a terrific balance. What they say: Rich and complex, the woody note is nice, vanilla side remains, fruity notes explode on the palate, the finish is long, perfect harmony on the palate, elegant, great presence. What I taste: It is so French. First because it is very dry but with a great balance. At the same time, everything explode! The nuts are now there for me with some dried leaves. I'm in a forest in Fall. The orange peel is increasing and the spices show some teeth. At the end, I have some fruit like some dried peach cover by ginger sugar. The finish is very long. It is mainly dried peach and ginger recessing with the surprising comeback of the mint and the sandalwood but all in the background. The balance is fantastic from beginning to the end if you except the short time when the spices show some teeth. This whisky is not for those who like it sweet. I prefer it before it gets a lot of air when it is more tame and balance. Those who likes the big flavors of virgin oak aged whisky will get more of them with air. You would never guessed it is aged only for 7 years. Its youth shows itself only in the way it changed rapidly. I drank this dram over a 2 hours period and it was very very good for more than an hour but in the last 30 minutes it was only good. I an scoring the whisky from the first hour. The late one would get a score in the low 80'. Many thanks for this comprehensive and informative review, @robert99. I had never heard of this distillery. Thank you for bringing it to connosr readers' attention. @Pierre_W The Distillerie des Menhirs is well worth of attention if only for is used of buckwheat. And buckwheat should get more attention as well. The only other whisky with buckwheat that I had was Corsair BuckYeah! (thanks to Victor) and although it was more like a new make (uncolored)and that it has some malt in it it had a unique fruity profile. I also find that the way the French are using French Oak (Brenne, Bastille, Armorik, Distillerie des Menhirs) is quite different than the way any other country is using it. They are going more for the finesse and less for the big flavors (with the Exception of Michel Couvreur). I also like when a distillery is able to create a dry whisky with a long finish. Finally, as a French Canadian, I am very curious of what is coming out of France. But don't worry, if I don't like it, I will say it.